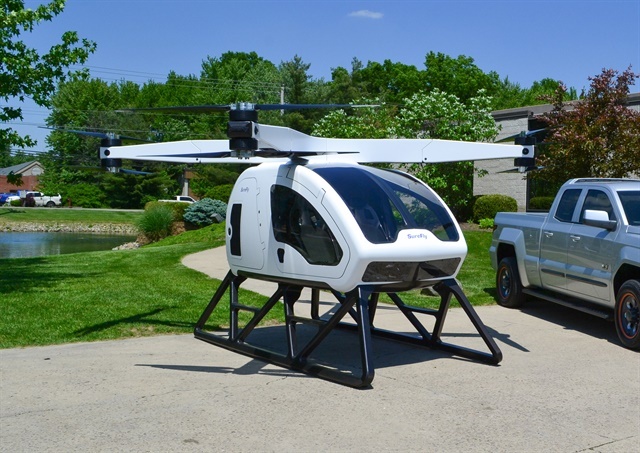 Workhorse Group announced its intention to spin off its aviation division, which includes its SureFly personal helicopter, into a separate publicly traded company named SureFly Inc.
SureFly Inc. will encompass all SureFly aerial technology and expertise, including property related to the personal helicopter, but it will not own the assets related to the package express-related HorseFly drone, which will be retained by Workhorse. Workhorse expects to grant SureFly a royalty-free, perpetual license to use the HorseFly drone, except with respect to deliveries implemented from a ground-based vehicle focused on package express. At the time of the spin-off, Workhorse expects to enter into a transition services agreement with SureFly to provide certain engineering and accounting services not anticipated to be provided immediately by employees of SureFly. SureFly is currently an indirect, wholly owned subsidiary of Workhorse. In conjunction with the overall spin-off plan, Workhorse expects to retain a portion of SureFly Inc. common stock and will distribute a portion the common stock to existing Workhorse shareholders. Third-party investors, bringing new capital, will likely constitute the balance of the ownership of SureFly Inc.
Bestpass has hired William Decaire as general counsel of the toll management provider, the company has announced. The Automotive Fleet and Leasing Association has established a scholarship fund for its week-long, fleet focused mini-MBA program. The University of Wisconsin-Madison is hosting a two-day fleet management seminar in early June for commercial and government fleet managers. The NAFA I&E 2019 wrapped up with a focus on mobility, designating the entirety of its last day on technologies including autonomous vehicles, EVs, Software as a Service, cyber security, and more. Executives from several fleet management companies discussed their vision for the future of fleet management at NAFA I&E 2019, and detailed why it's an exciting time to be part of the industry. The 2019 NAFA Institute and Expo put a significant emphasis on how future mobility technologies might impact fleets and hosted numerous seminars and educational sessions geared toward educating the commercial fleet manager of today. The second day of NAFA I&E 2019 was highlighted by the opening of its expo hall, more educational sessions, and the final day of the CAFM U Bootcamp. The 2019 FLEXY Award Winners were formally honored during the opening of the second day of NAFA I&E 2019, and spoke on the achievements that helped them earn the honor.